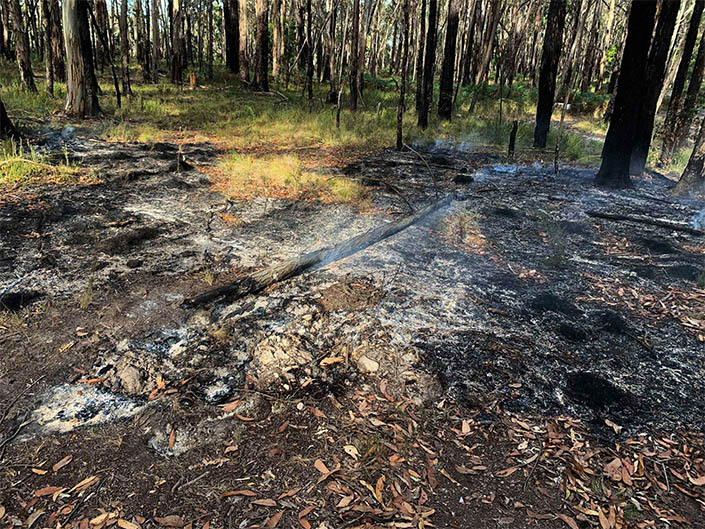 FROM SMALL CAMP FIRES CAN BIG BUSH FIRES GROW! At 3.48pm this afternoon Woodend, Macedon and Mt Macedon CFA volunteers were called to a grass and scrub fire off Fingerpost Road. A great job by Macedon Lieutenant who was quickly on scene to locate the fire, and was soon joined by three crews from Parks Vic on return from the Bench fire. Woodend T1 and FCV continued as the fire was in Woodend’s area. Obviously some campers had left the scene before properly extinguishing their camp fire, which spread in the strong winds. A clear message, if you are going camping in the coming weeks, the forests are still very, very dry. Make sure you FULLY extinguish a fire before leaving.